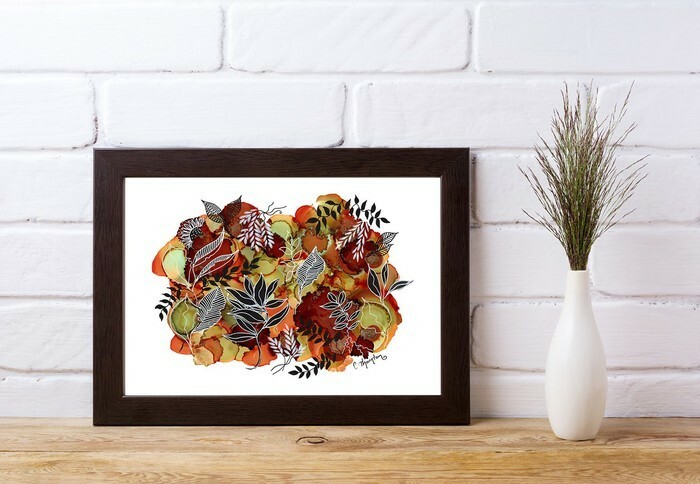 'Earth and Botanica', A4 Reproduction Art Print of original mixed media painting. Printed on 308gsm Hahnemuhle fine art smooth photo rag paper with archival inks. 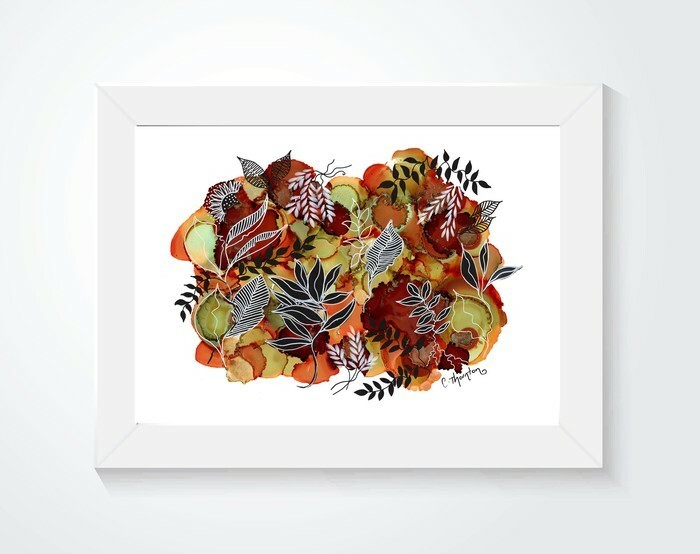 Beautiful rich colours using genuine inks to reproduce this artwork on high quality paper. Prints are designed to fit in the window of an 8 x 10 inch mat-board and 11 x 14 inch frame. The is an unframed print. All prints are carefully packed inside an archival plastic sleeve and on a sturdy acid free backing board. This design is also available in A3 size within Australia. 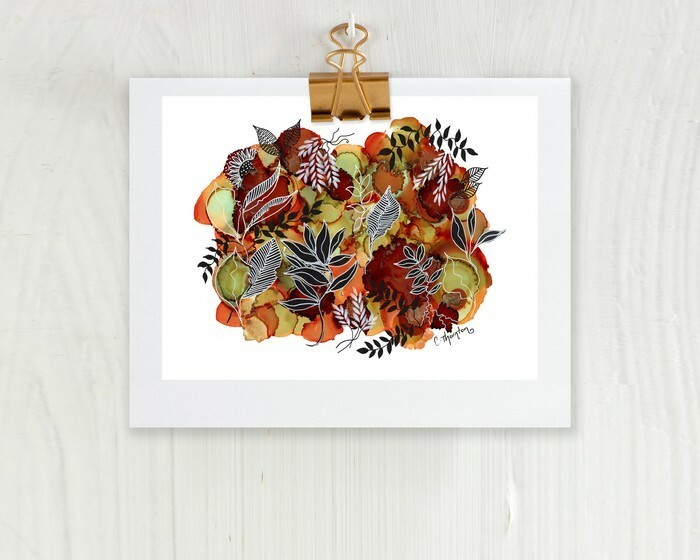 Hi, thanks so much for buying one of my prints. I hope you love it. I will send the item within 3 business days of receiving payment.